Limescale build-up inside household appliances can cause them to run less effectively, increases the likelihood of premature breakdown and impairs the efficiency of heat transfer. The Sentinel SESI is a cost-effective scale inhibitor solution to help tackle limescale build up and could save up to £100 a year on typical energy bills. 65% of the UK population is provided with hard water, which contains high levels of calcium and magnesium salts. These build up inside household appliances, causing them to run less effectively and increasing the likelihood of premature breakdown. By protecting against the build up of limescale, it could save up to £100 a year on typical energy bills, as scale also impairs the efficiency of heat transfer. 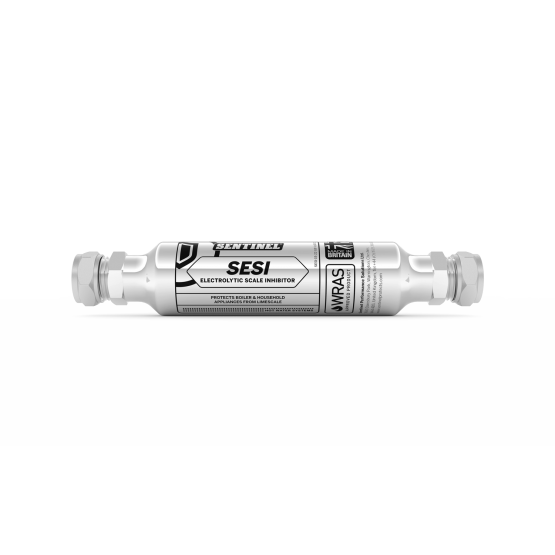 Sentinel SESI is an electrolytic scale inhibitor, a cost-effective solution to help tackle limescale build up. It provides a long term solution which requires no maintenance and protects the whole house without introducing any undesirable chemicals to drinking water. 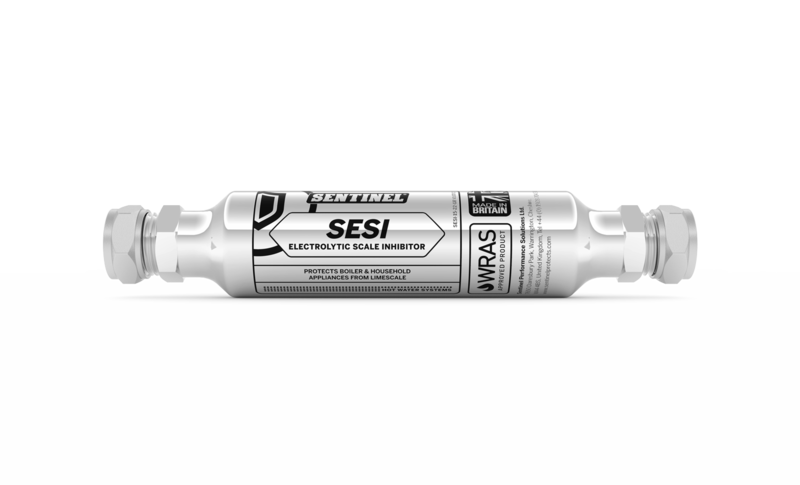 Sentinel SESI is easy to fit, WRAS-approved and comes with a 5 year guarantee. The unit should be installed in the rising main of the municipal water supply, but after the water meter and primary filter units (if fitted), so that the whole property is protected. If the device is fitted to protect only a single appliance, there should be at least 3 metres of water pipe between the SESI unit and the appliance. The unit must be installed in accordance with WRAS installation requirements. Does SESI require a power source? The system in question is over 20 years old; is it safe to use Sentinel SESI? What are the dimensions of Sentinel SESI? What does Sentinel SESI do?